Working together sets the Carmangay Seed Cleaning Plant apart. 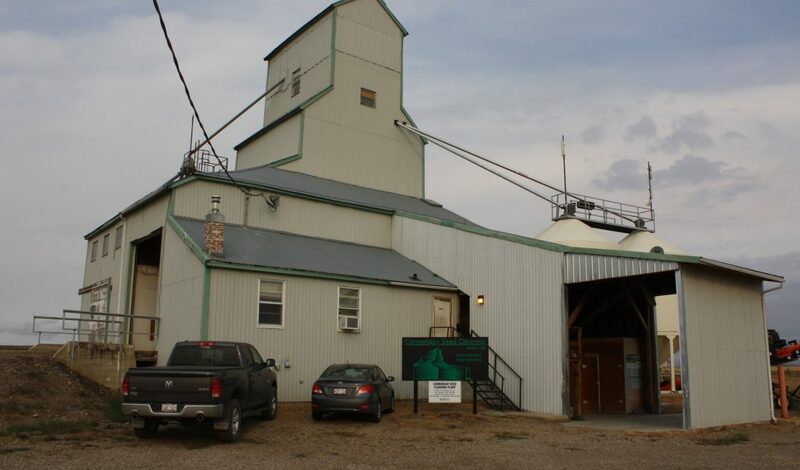 Managers and staff of the Carmangay Seed Cleaning Plant, located about 60 km north of Lethbridge, count themselves lucky – they love their jobs. That may explain why turnover at the plant is rarer than a seed cleaning issue they can’t solve. Since they opened their doors in 1959, they’ve only had five general managers. The first held the position for two decades, and the current general manager, Rod Blenkin, has been on the job for 23 years. And as he nears retirement, his son Chris is taking the reins as plant manager. With 15 years of experience at the plant, Chris Blenkin is a relative rookie; but then, he’s only 34 years old, and he likes what he sees so far. That has always been the goal of the Carmangay Seed Cleaning Plant, whether processing 150,000 bushels annually in 1995 or 600,000 in 2016. Today, the bulk of their business is cleaning cereals and pulses for farmers to re-plant the following year. Most of that business comes from word-of-mouth, thanks to clients who appreciate their knowledge. Not content to rest on their laurels, however, they are rapidly building the seed treatment part of the business. “It’s a key area of growth. We used to treat 6,000 to 12,000 bushels of grain per year and we now do around 70,000, all in April and May. We wanted to find a way of assisting farmers at seeding time, so we bought a mobile seed treater and went to work. Now we’re exploring ways of boosting those numbers even more,” says Blenkin. Part of their success stems from a commitment to always having the latest equipment and technology in their plant. “We’re constantly modernizing to be more efficient and do a better, faster and more affordable job for the farmer. Our new mobile treater is a perfect example as it’s fully automated and provides proper application and amazing coverage at an extremely fast rate,” says Blenkin. The automation brings error rates down from 10 per cent, which is typical in the industry, to a measly 0.5 per cent. No wonder father and son talk about embracing technology. Not only do they look ahead, they look around and gather input from many sides. 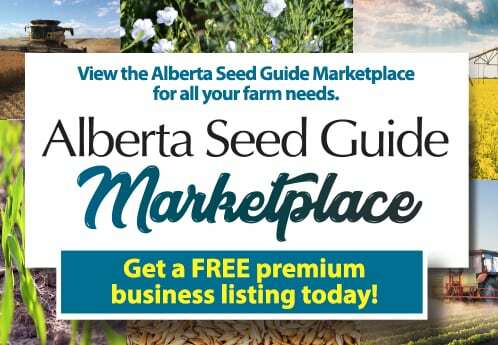 While those plans may include a new plant at some point, they’re considering other areas where they could be of service, such as exporting and blending of seed for feed. Their collaborative approach to planning for the future also extends to dealing with the present. The plant is a co-operative in the truest sense, in that customers have their input as well. “Our local clients are fantastic. They’re so encouraging and really want the plant to succeed which only gives us more passion to make that happen. We’re truly here to help each other and work together,” adds Blenkin. Their building may be long in the tooth, but there’s no shortage of youthful enthusiasm inside. When it comes to job satisfaction, this is one group that truly found its calling, and its customers are indeed lucky to deal with such a caring and enthusiastic group.